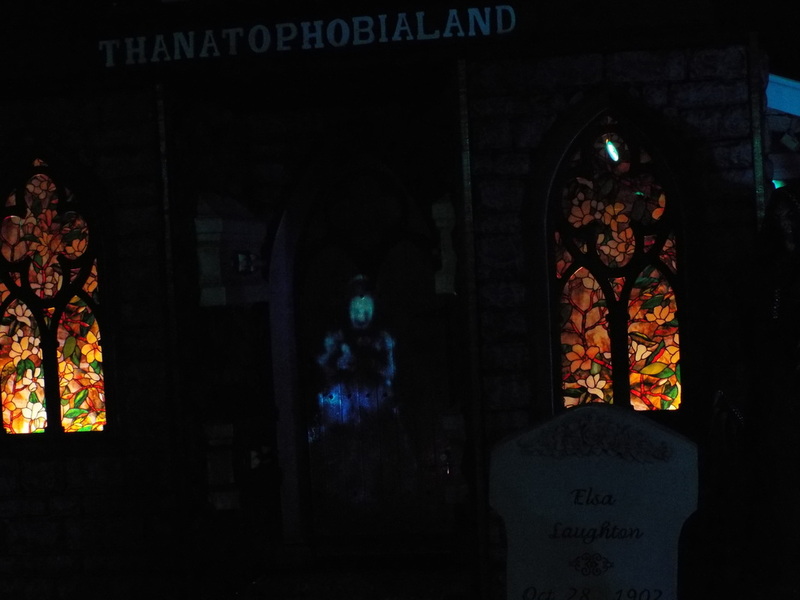 Thanatophobia refers to the fear of death and, true to its name, there is a lot of death on display at Thataophobialand. 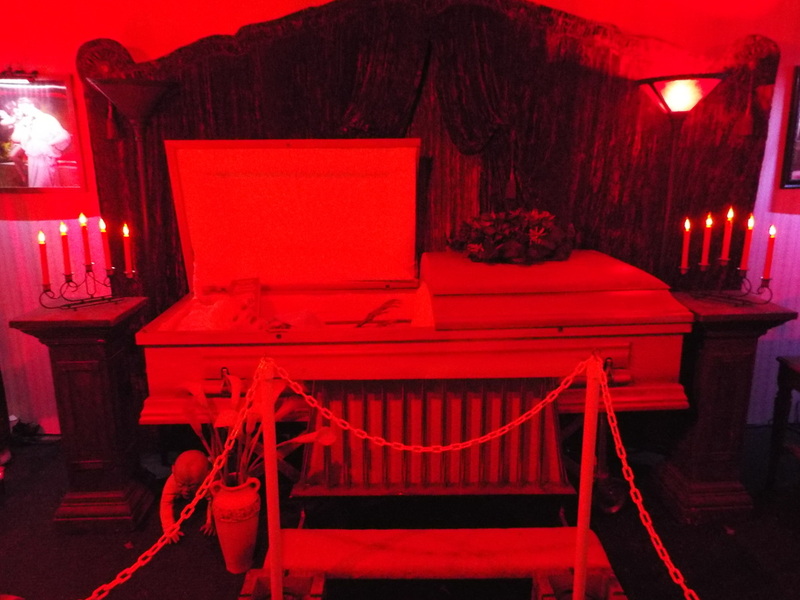 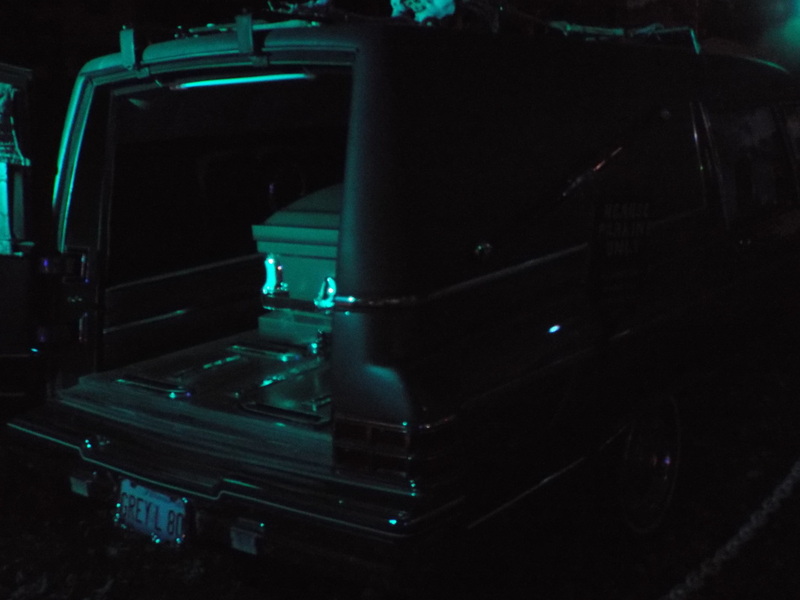 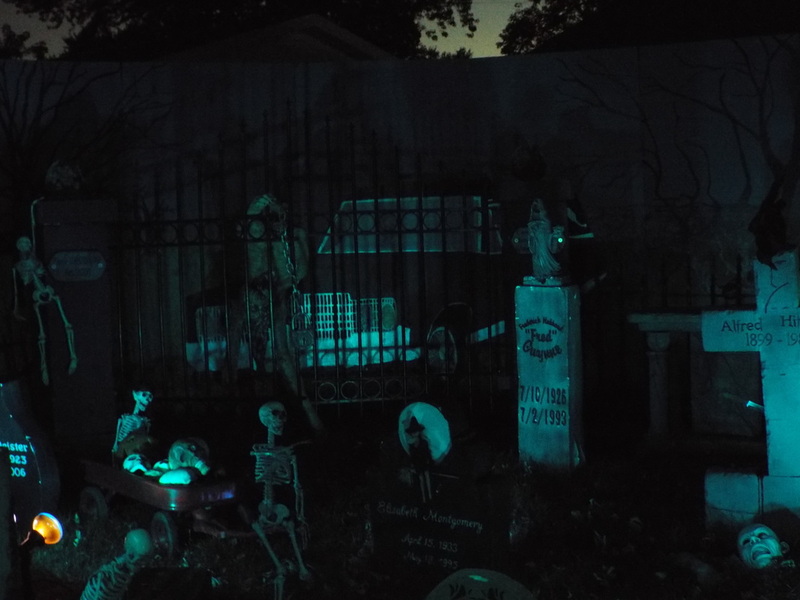 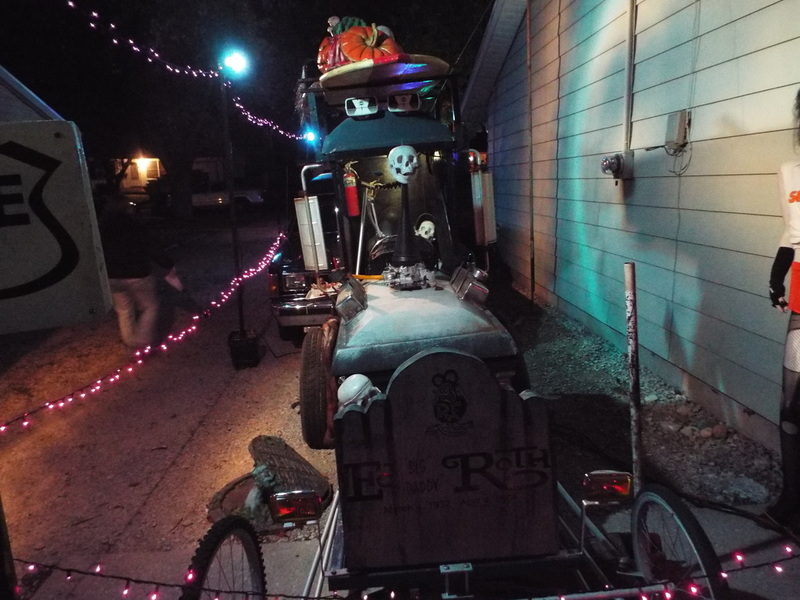 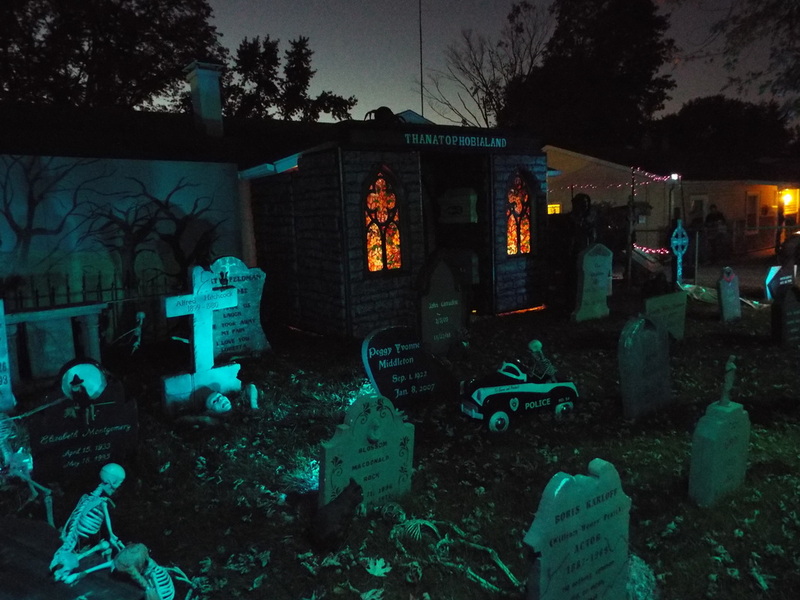 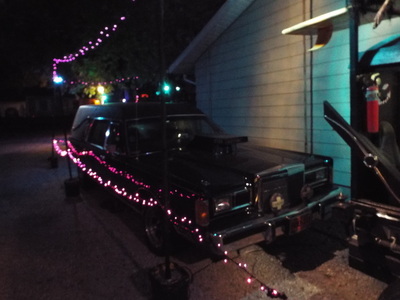 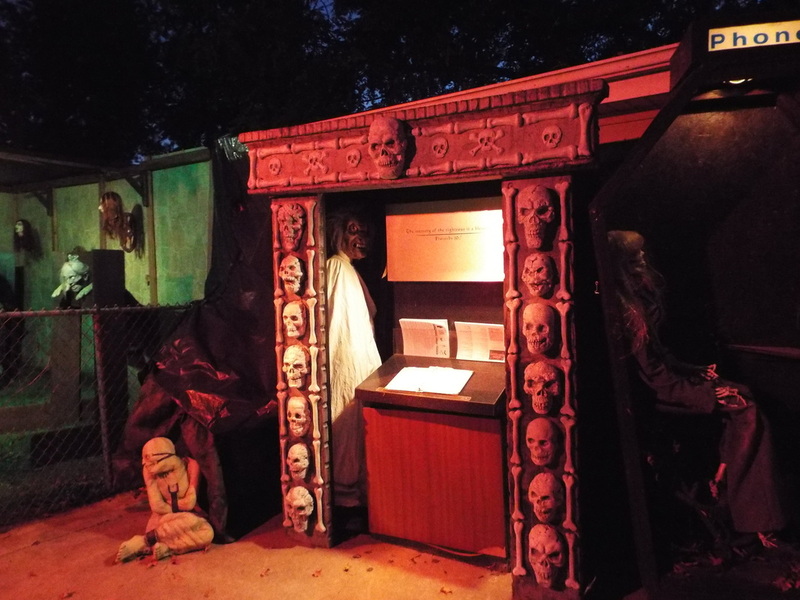 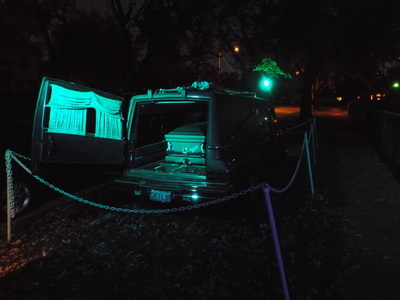 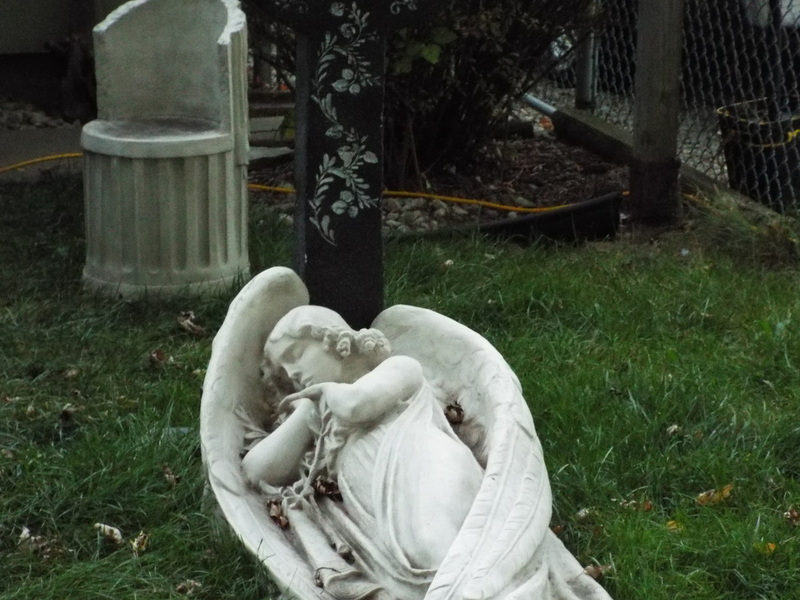 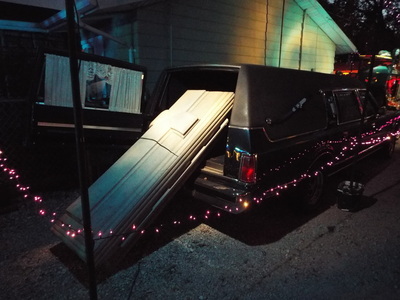 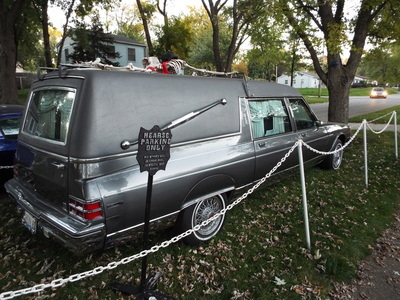 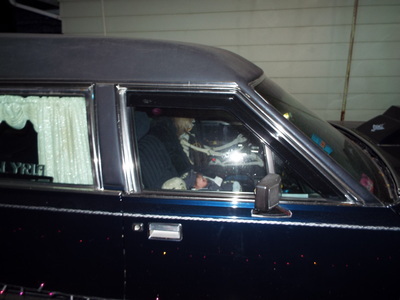 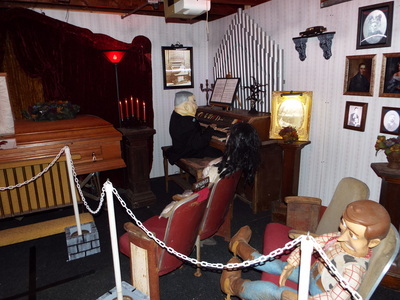 From its front yard full of tombstones to its multiple real hearses to the garage that's set up like a funeral parlor, visitors find their fill of death scenes here. 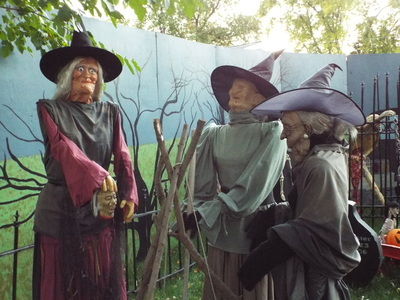 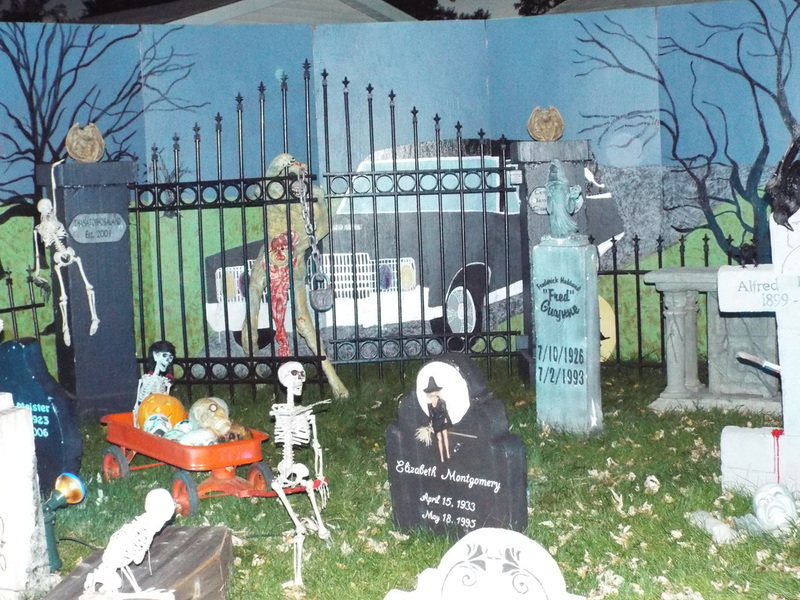 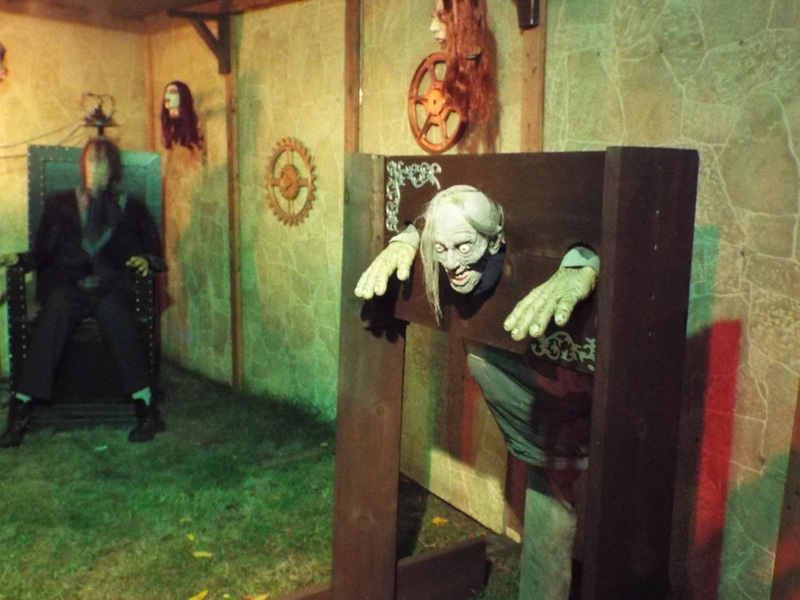 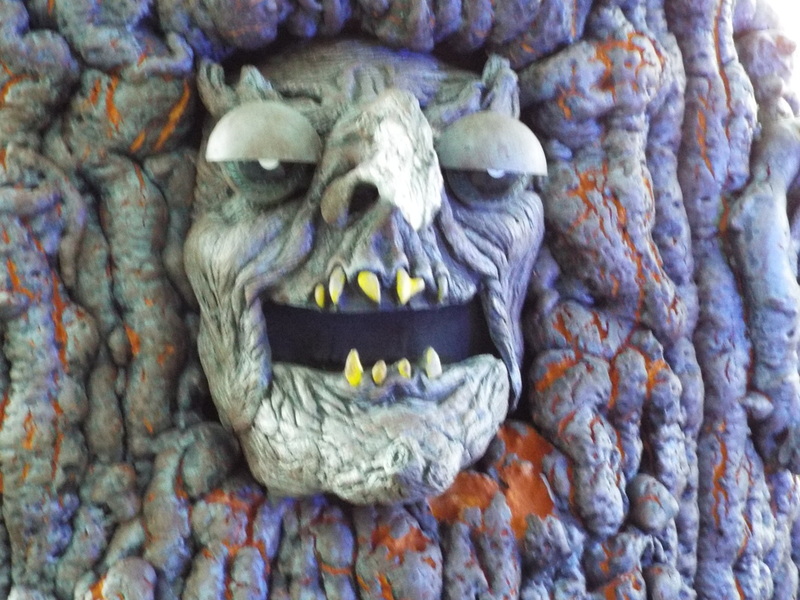 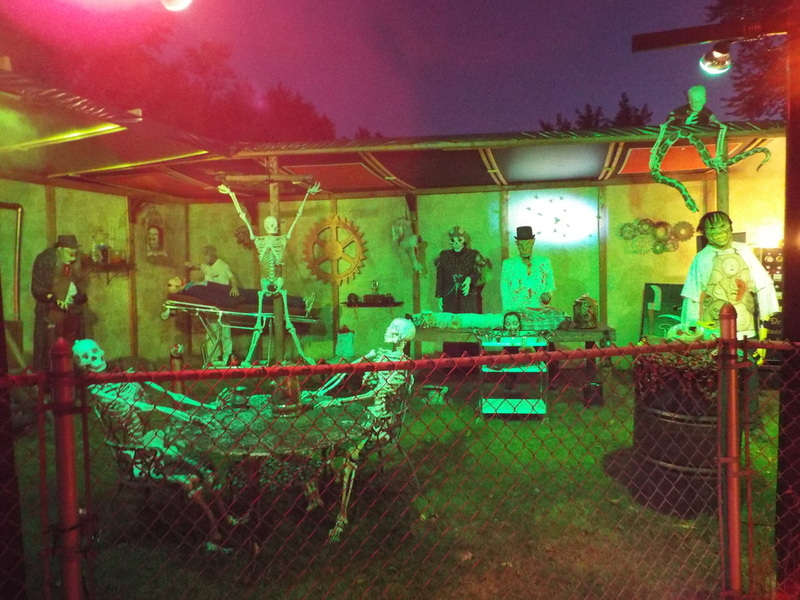 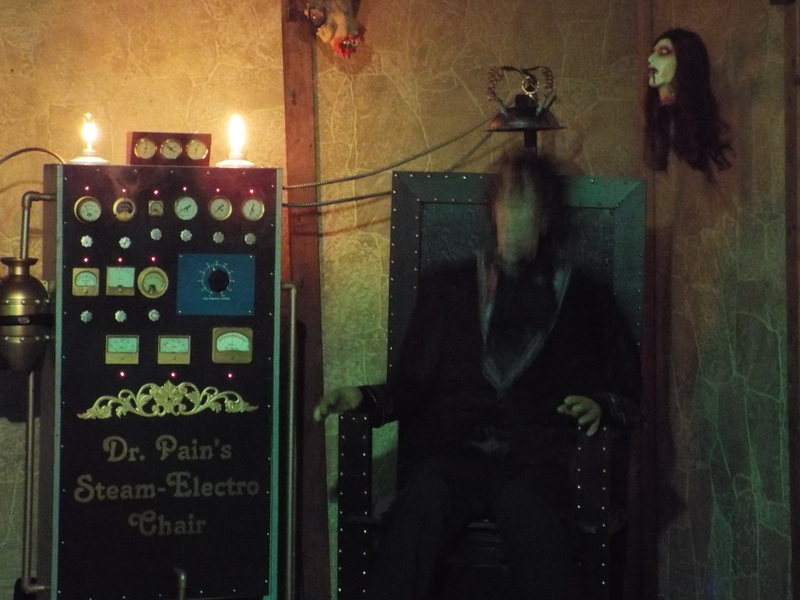 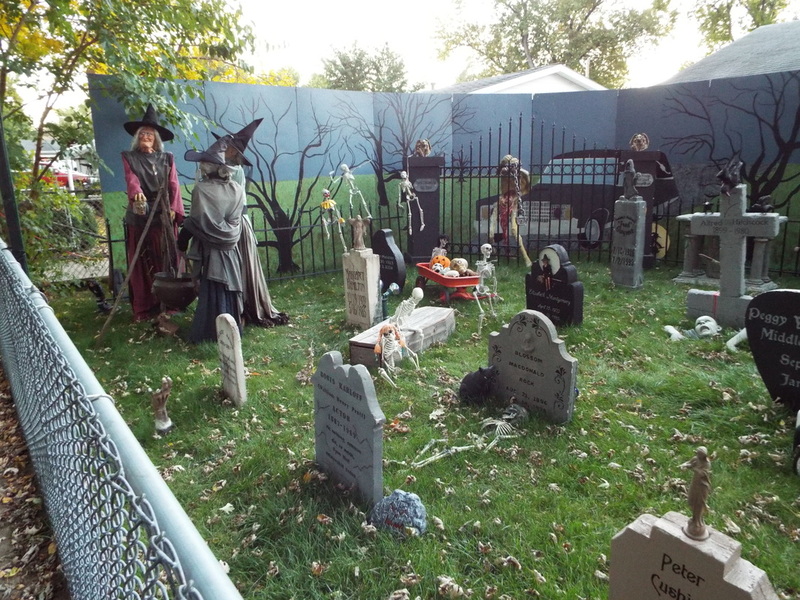 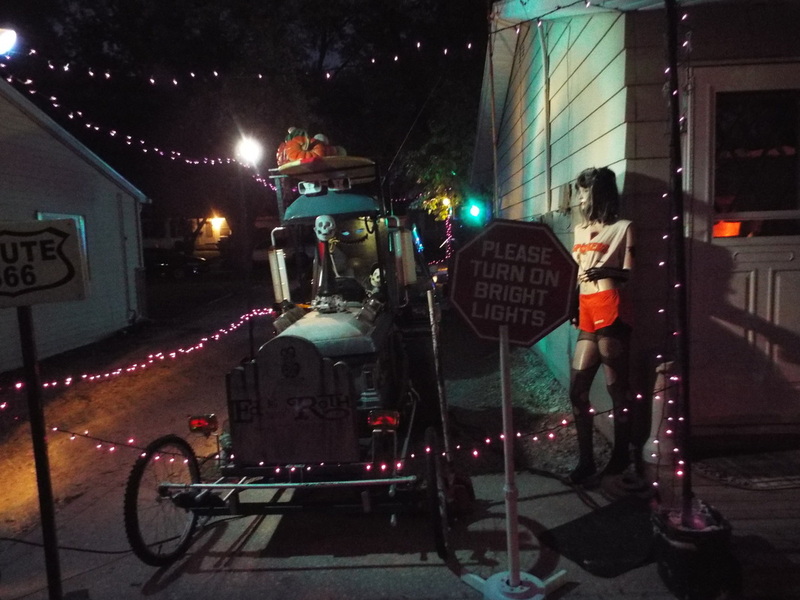 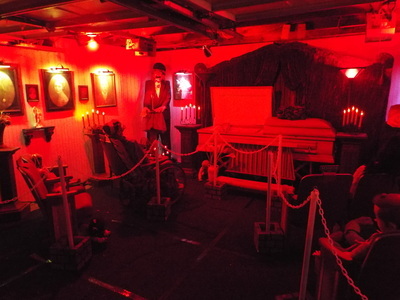 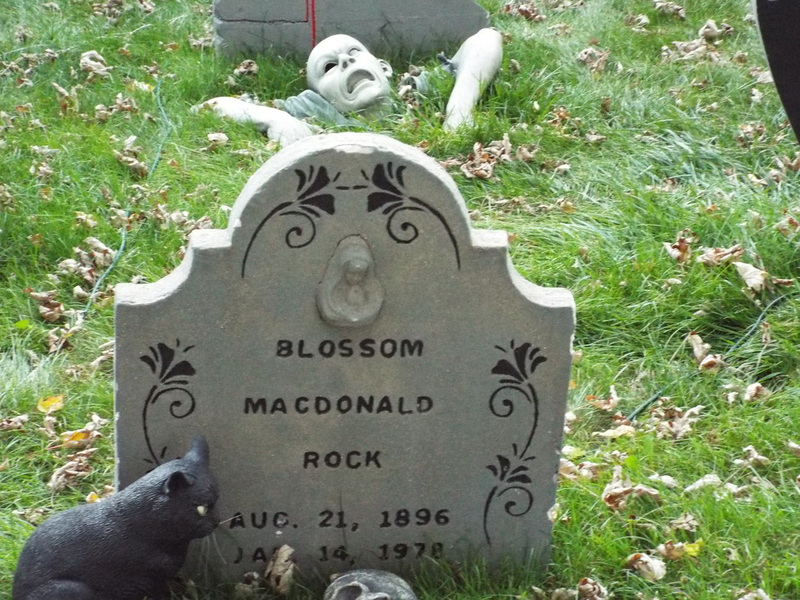 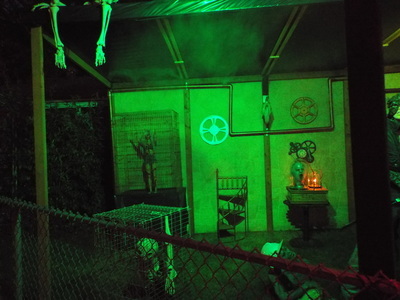 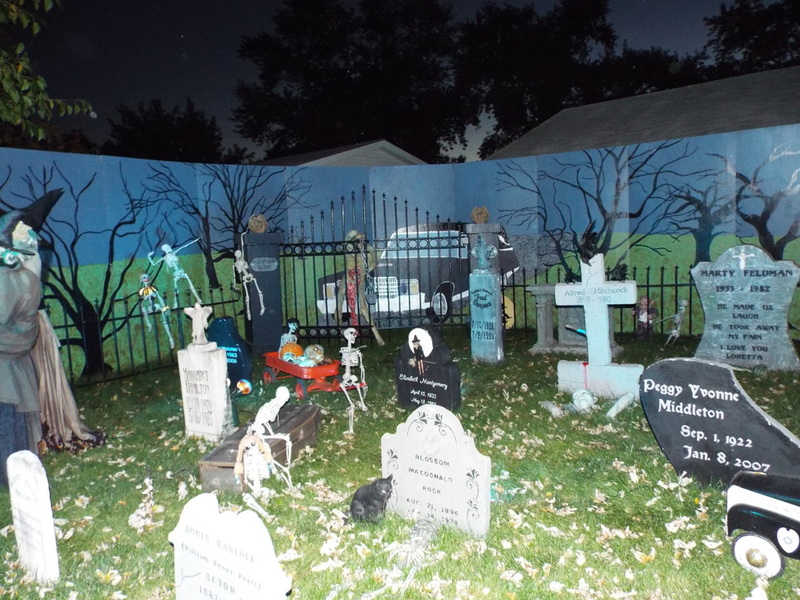 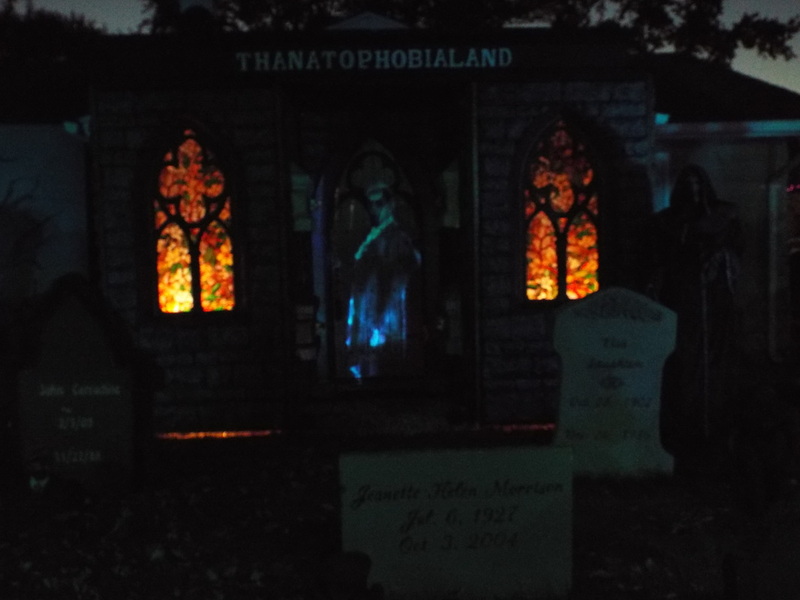 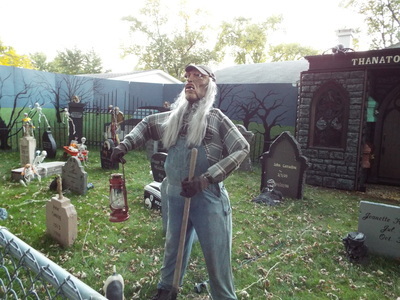 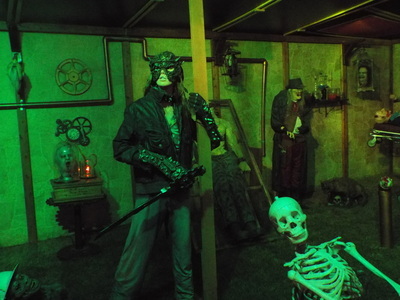 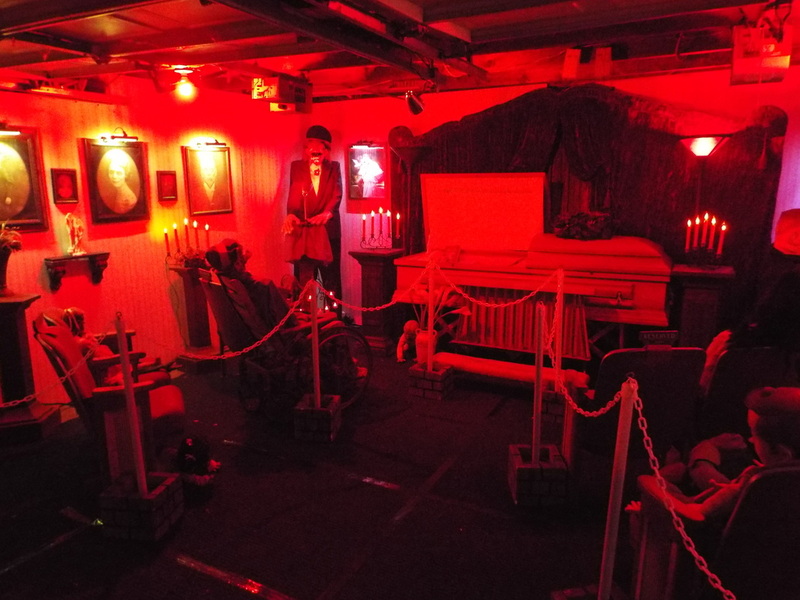 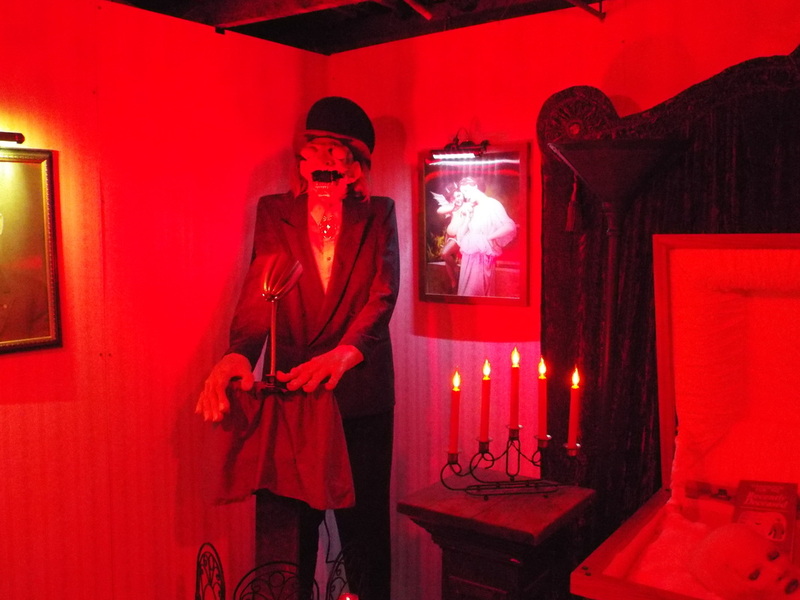 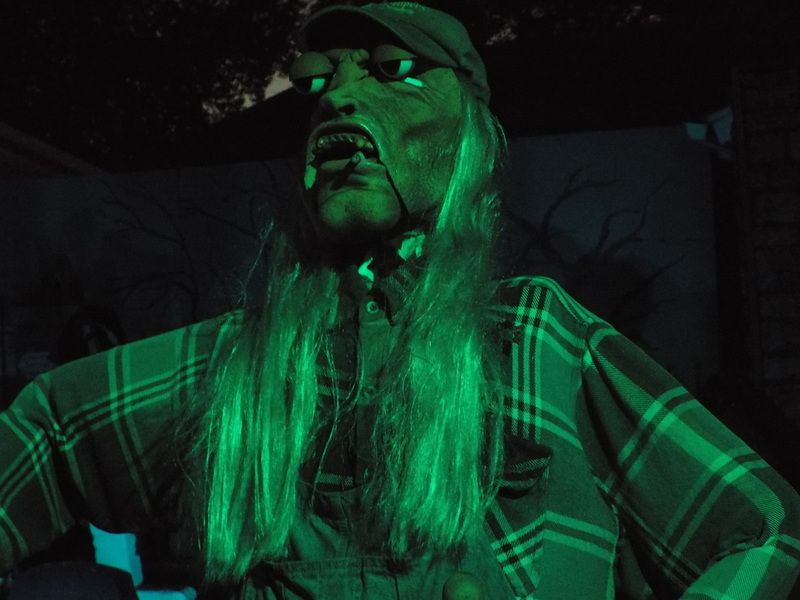 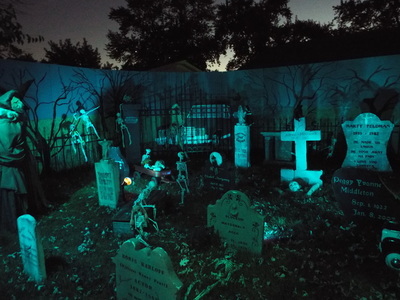 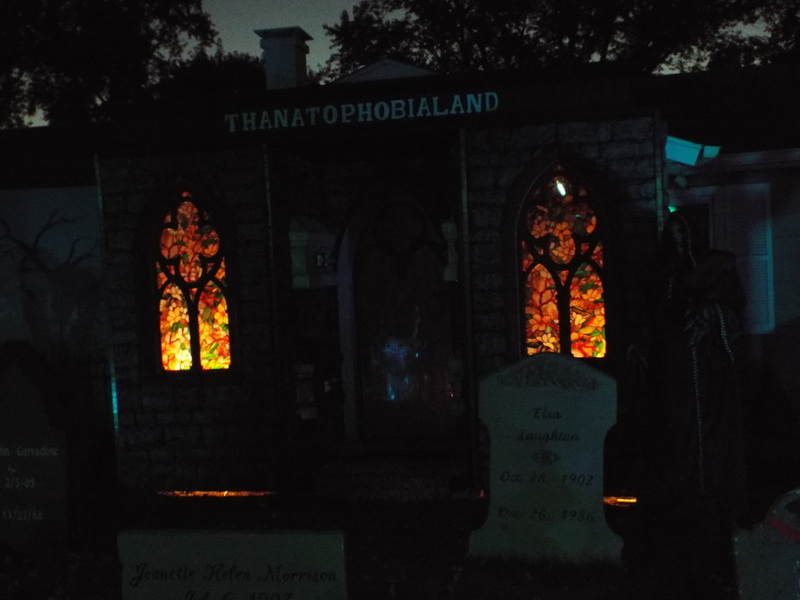 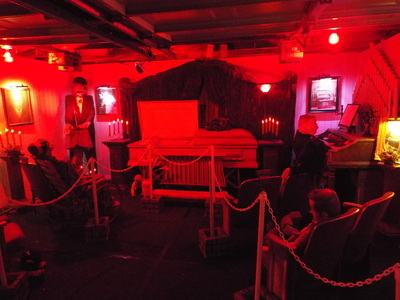 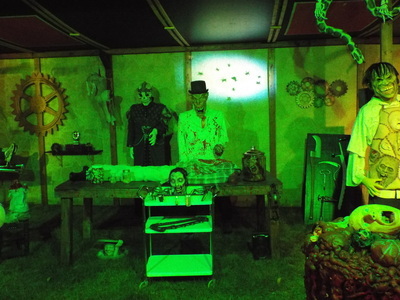 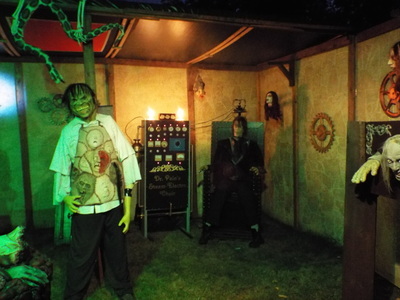 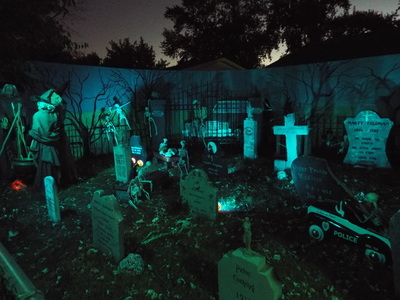 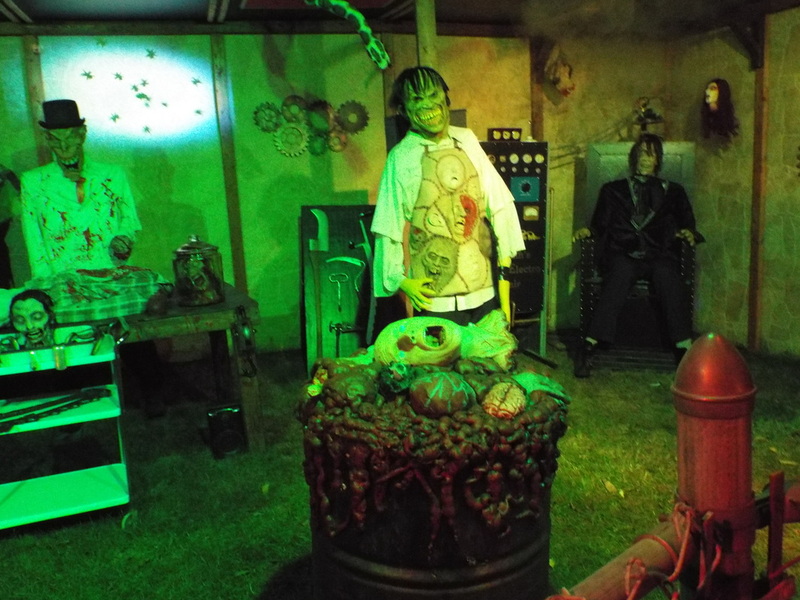 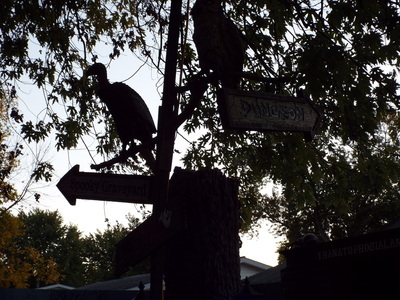 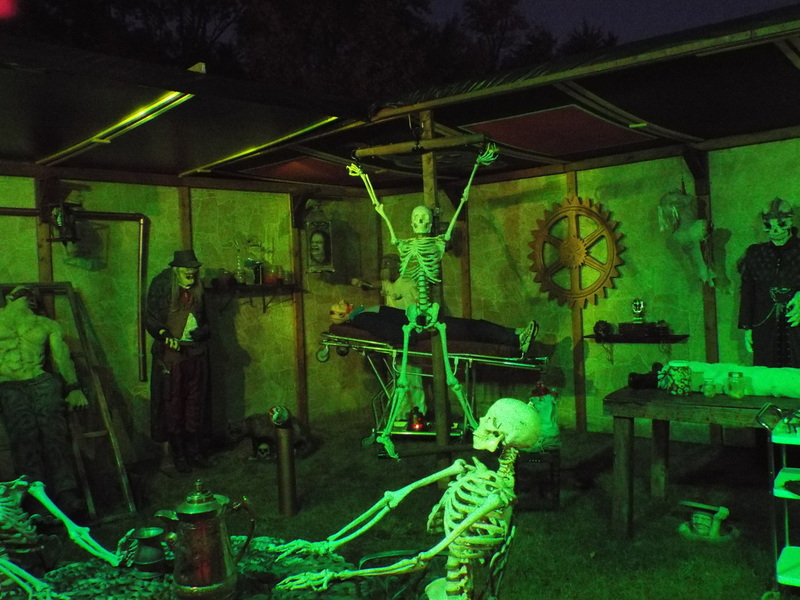 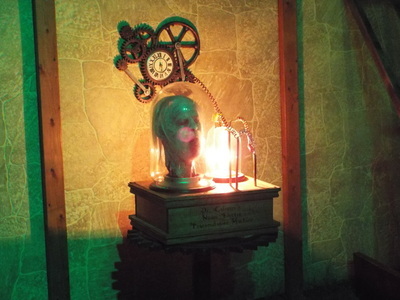 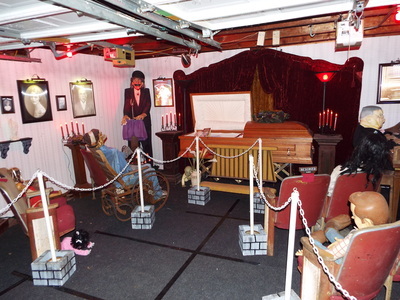 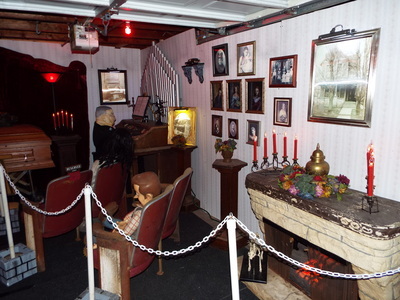 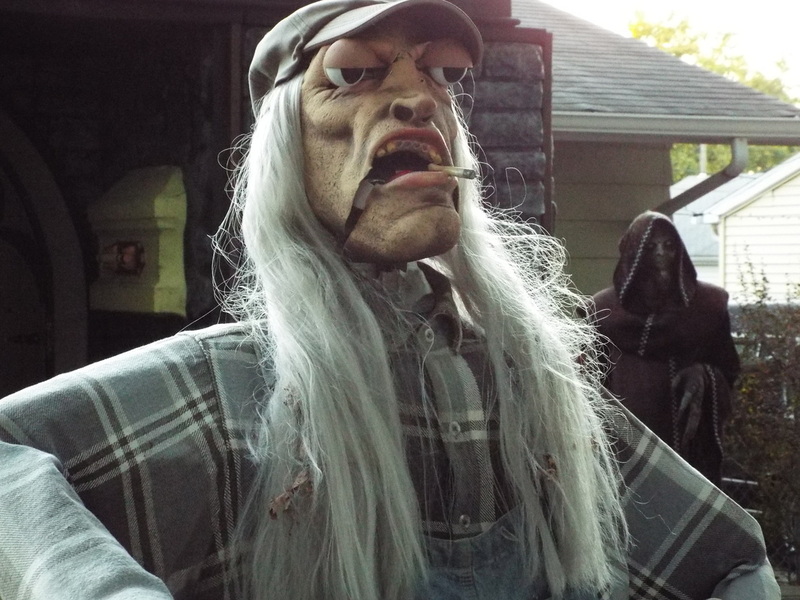 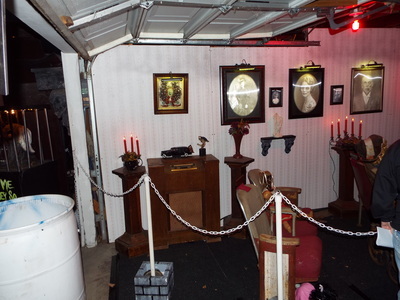 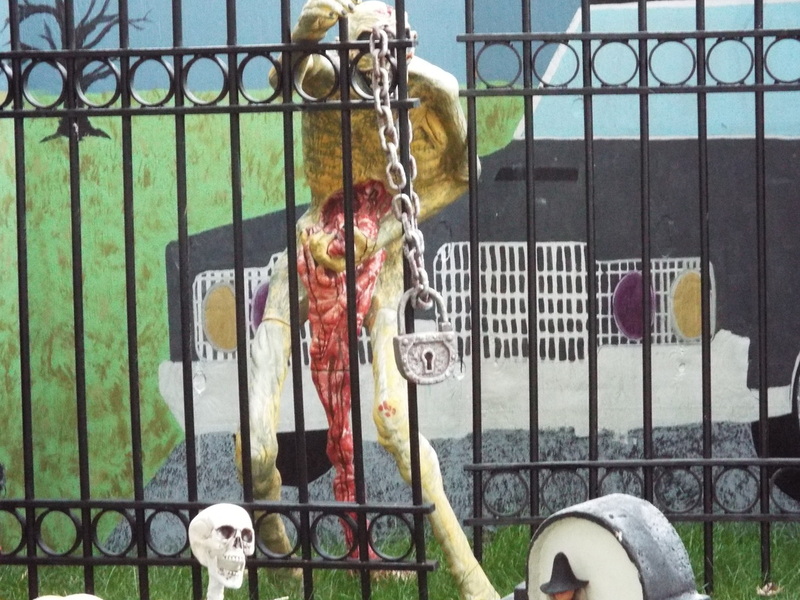 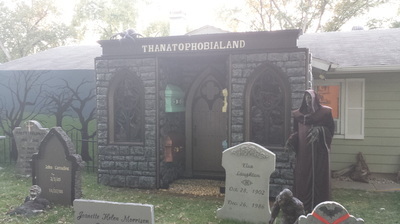 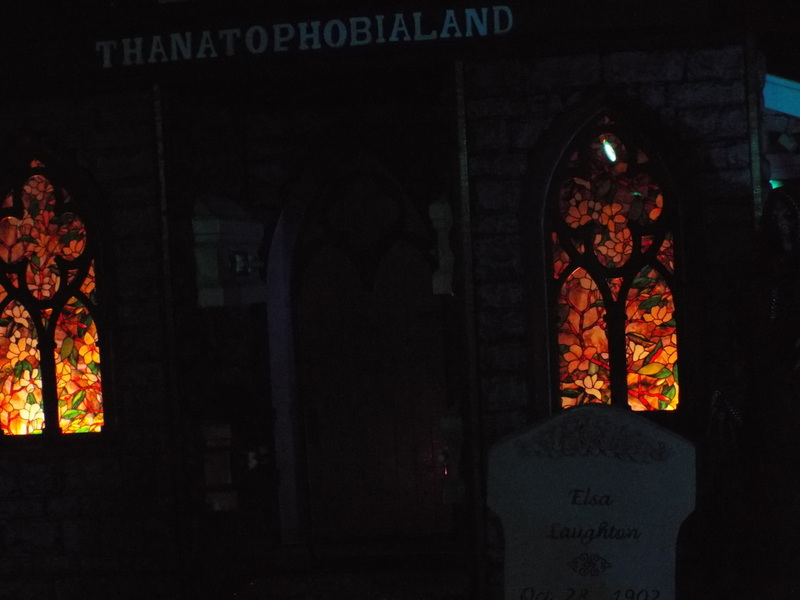 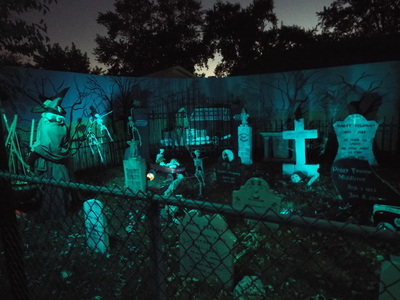 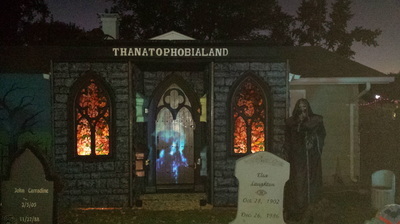 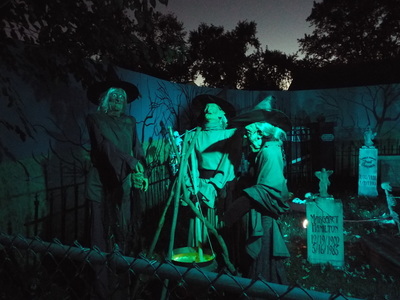 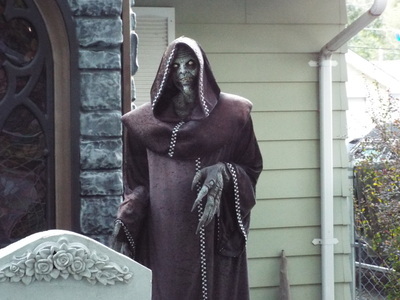 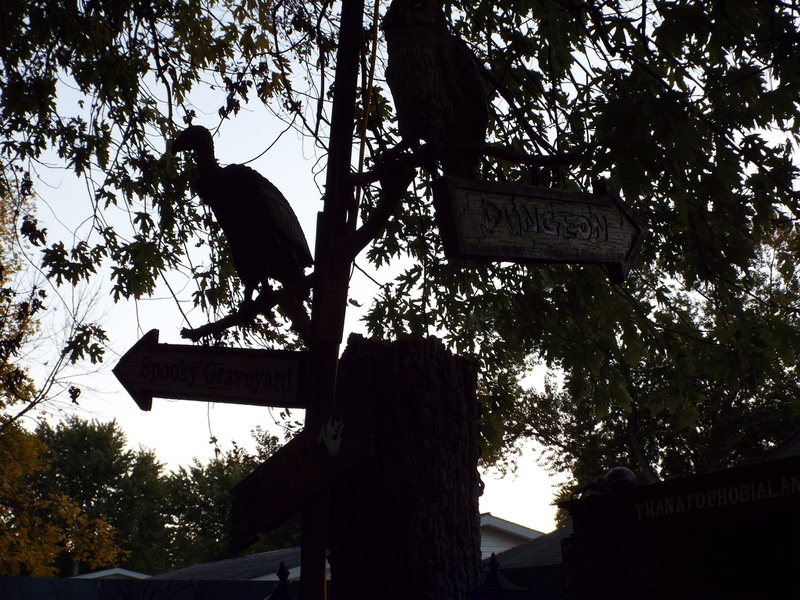 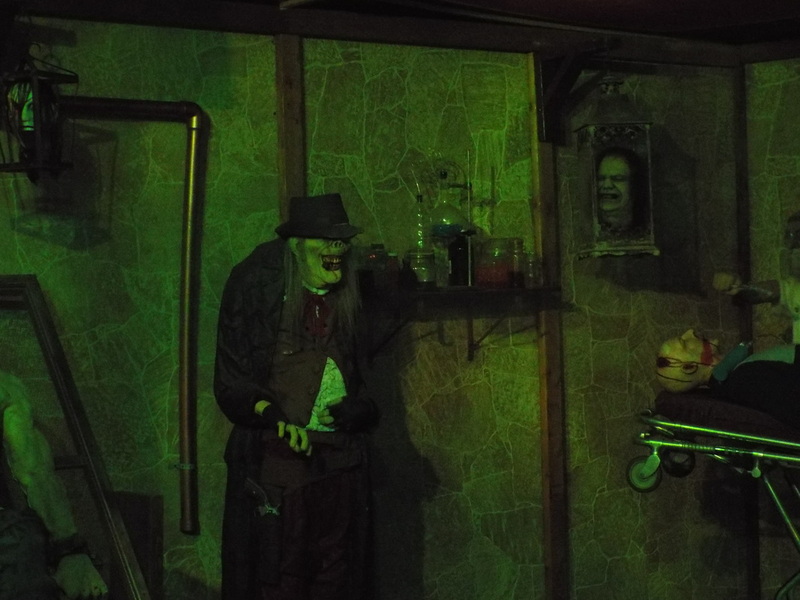 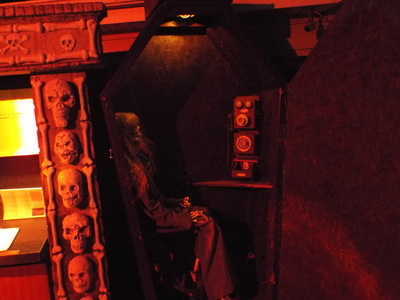 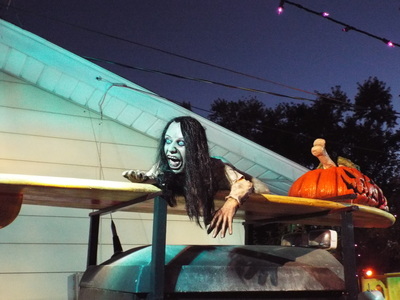 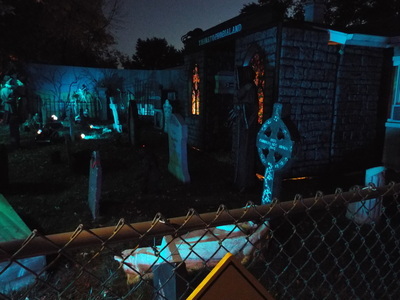 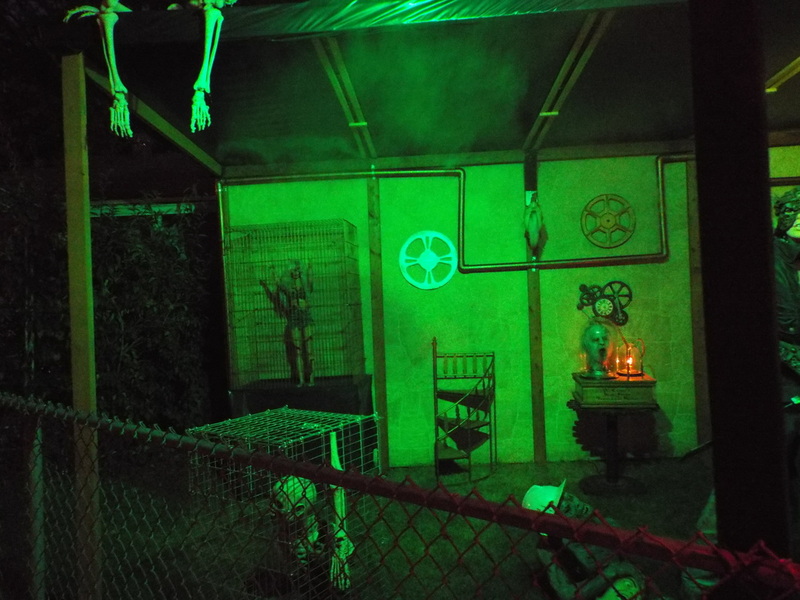 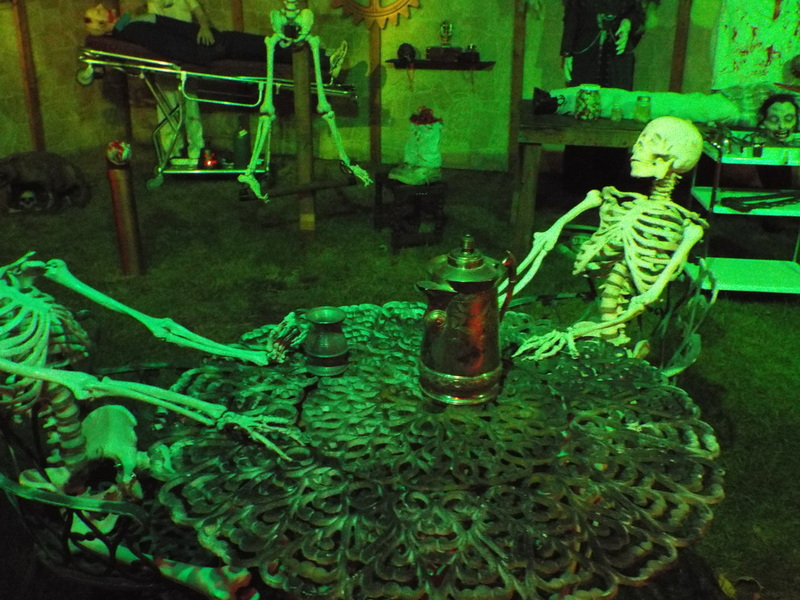 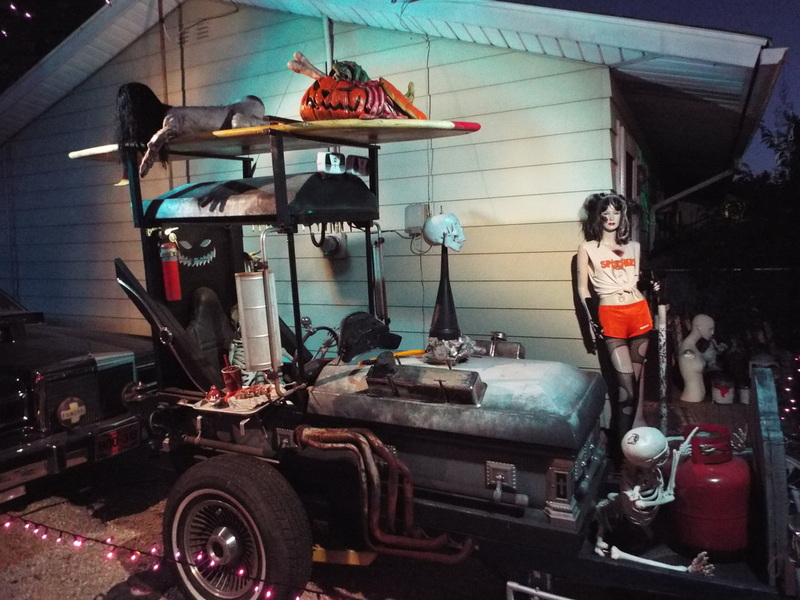 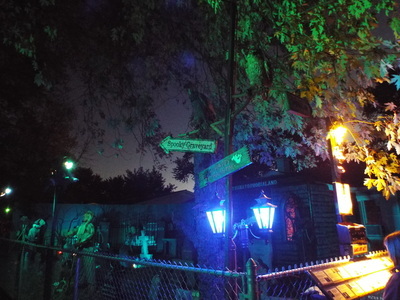 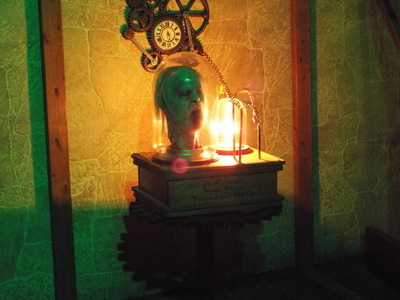 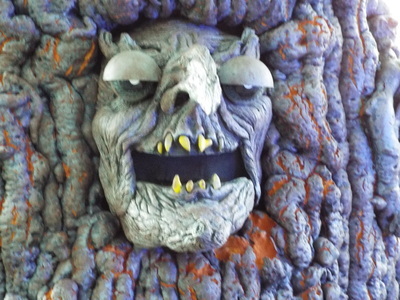 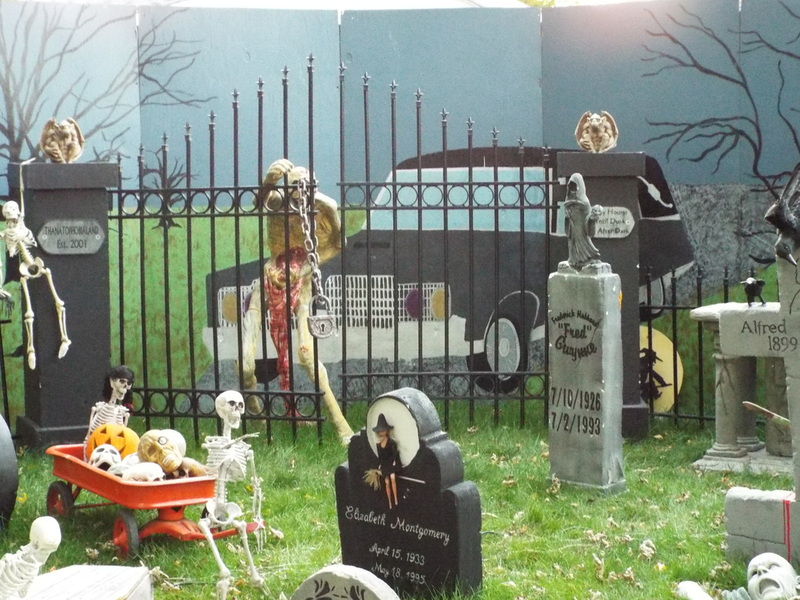 However, unlike some typical yard displays, a lot of Thanatophobia's setup is done with tongue planted firmly in cheek. From the creepy caretaker out front who tells you about the display, to the "Spookers" waitress (a play on Hooters restaurants), to the giant figure of Woody from Toy Story who is an attendee at the wake in the garage, Thanatophobia displays the macabre with a wink and a nod, and serves up ghoulishness with a wry smile. 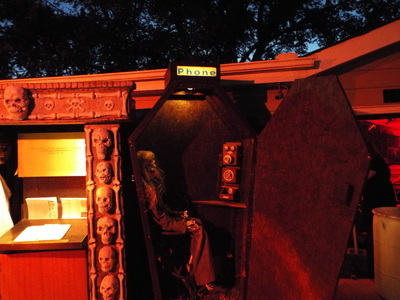 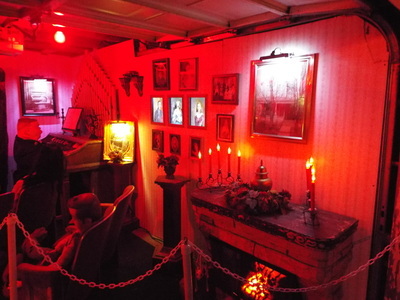 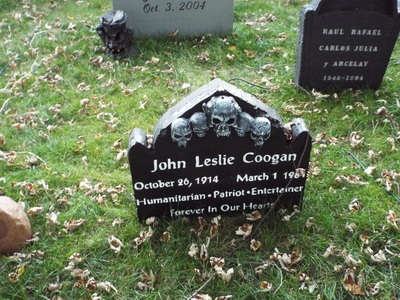 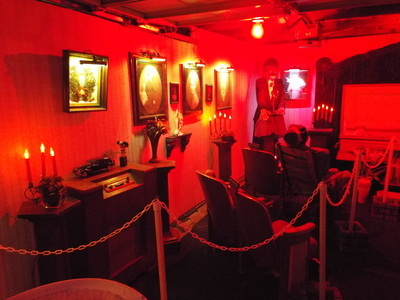 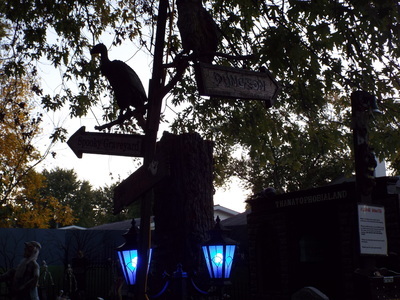 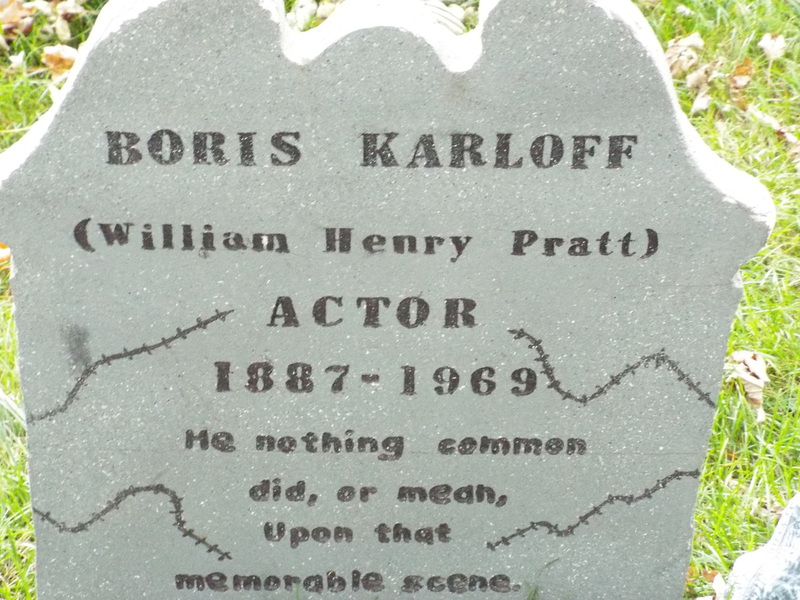 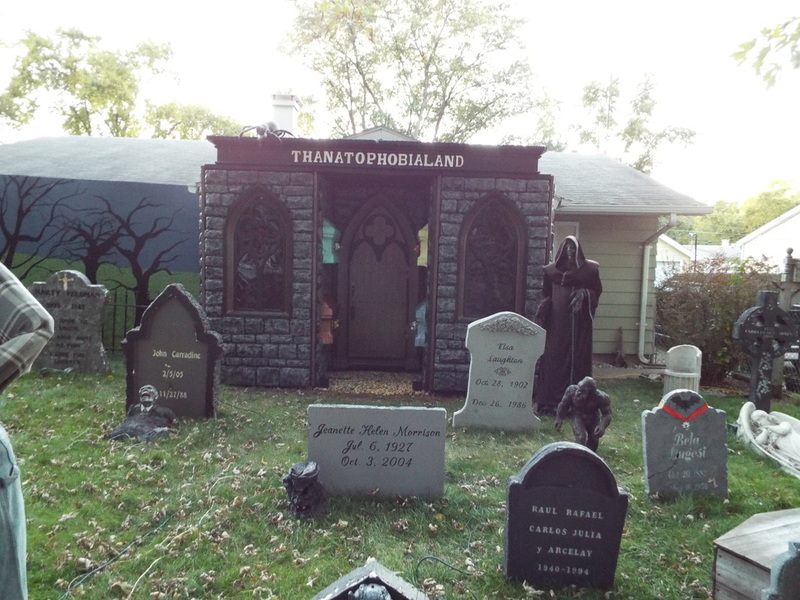 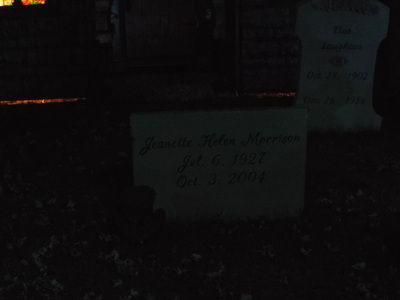 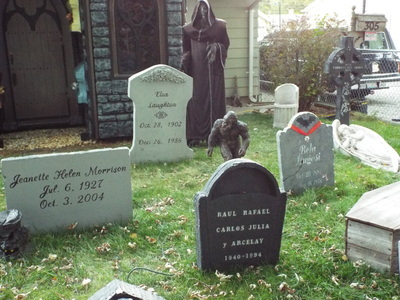 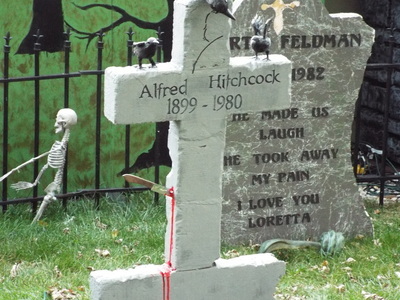 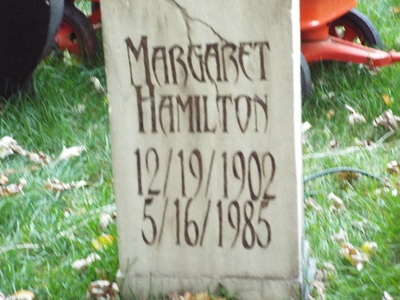 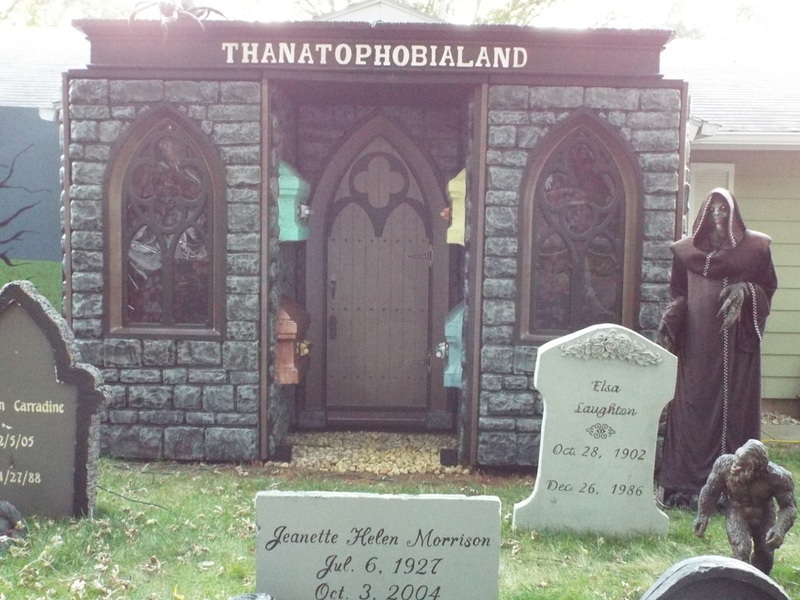 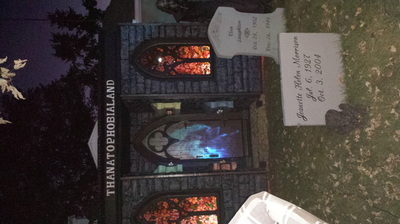 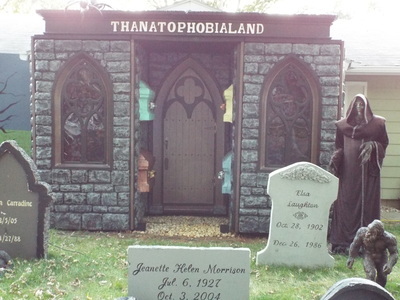 In addition, Thanatophobialand features tombstones of famous horror movie actors and actresses (as well as others), which makes a unique change from the standard cemetery setup. 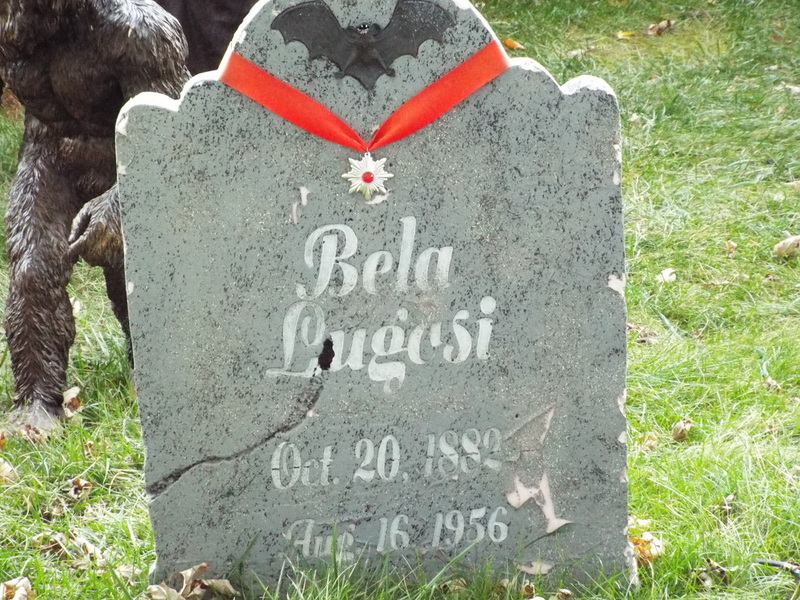 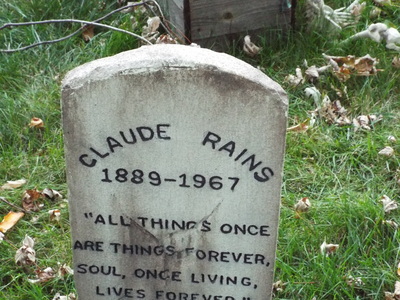 For example, you won't find Dracula's tombstone here, but you will find Bela Lugosi's, along with many other famous horror stars. 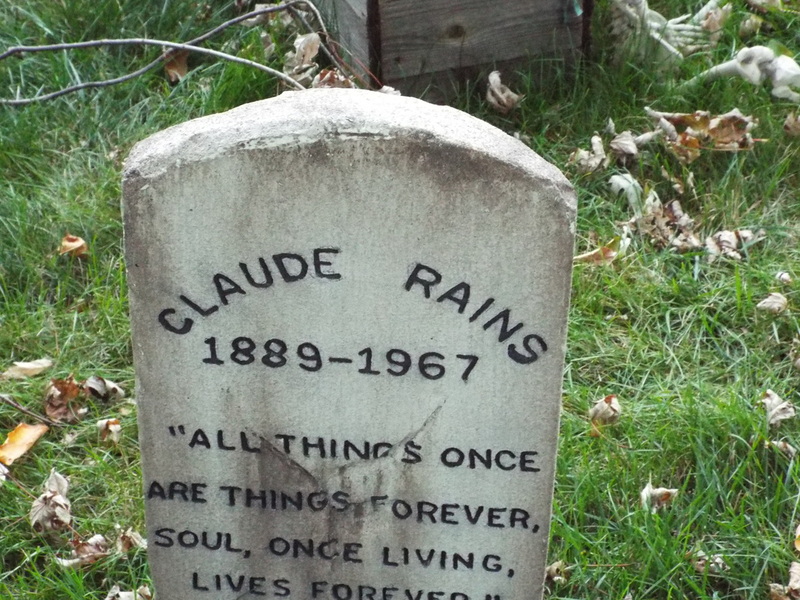 And for those who might not be as familiar with the names on the tombstones, there is handy display along the side of the front yard that tells you who's who. 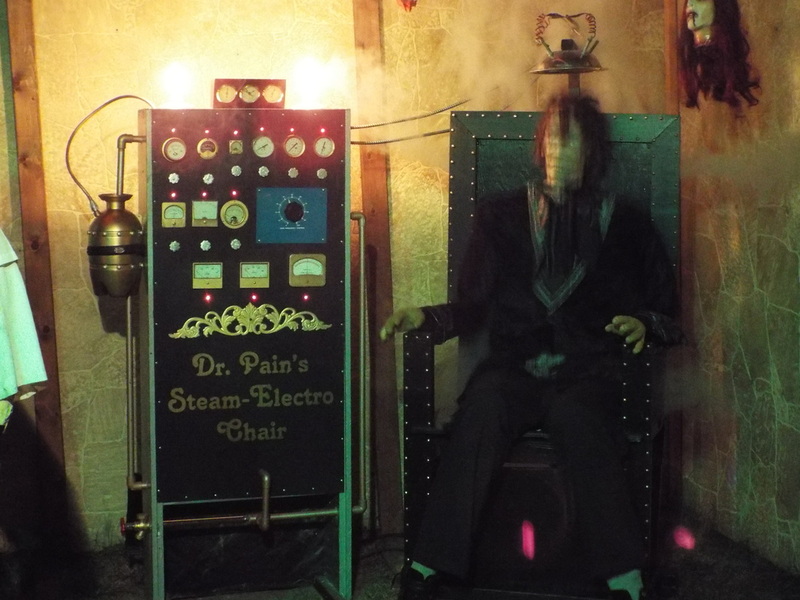 It's educational and fun, and how many haunts can say that? In short, there's so much to see and recommend here - Thanatophobialand really shows just how entertaining a yard display can be, so for those of you who think that yard displays aren't worth it, go visit Thanatophobialand and see if you change your mind. We'd be surprised if you didn't!